Until and unless, you don’t get success in CNA exams, you would not be able to get your name listed on state’s Nurse Aide Registry and can’t begin your career as a nursing assistant. Written portion, which includes multiple-choice questions. Skills portion, in which you will be asked to demonstrate different nursing skills. Instead of studying the whole night before the test, take good sleep. Proper rest will make your mind relaxed and enhance your ability to recall. Eat a balanced diet before the examination. Heavy food makes you sleepy, so avoid it. Before going for the exam, take 5-10 deep breath. It will reduce your anxiety. Pay attention to the theoretical portion of the training program. Before taking the written test, revise the manuals and text books, provided to you during the nursing training. Use the best study material. Take time to do online research and read some extra content other than given in the text book. Various free practice tests are available online. Take them in order to succeed in the CNA test. Discuss the topics which you find difficult, with your friends. It will assist you in better understanding the topic. Read the question paper carefully. Attempt the easy questions, first. While practicing hands-on skills, speak them out loud as you perform them. It will help you to memorize all the steps. 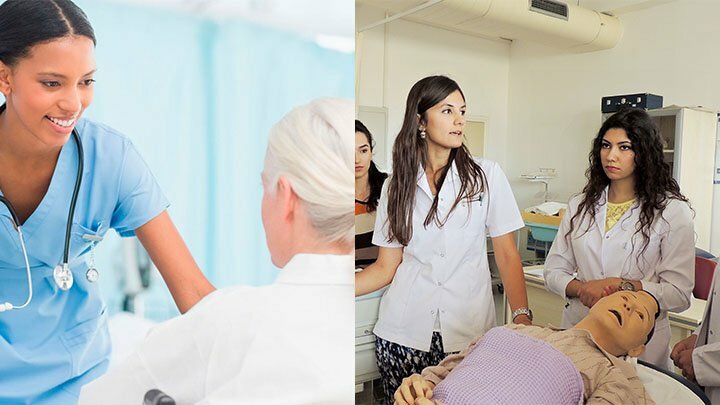 Before taking the examination, practice the common skills, such as taking a temperature, changing bed linens, moving a patient from bed to wheelchair, taking blood pressure, recording vital signs, basic grooming of the patient, etc. Keep your fingernails trimmed short and free of polish. Don’t wear acrylic or fake nails, during the exam. Listen carefully as what task has been given to you. You are generally asked to display 3 to 5 skills. Before commencing any task, wash your hands. Display apt hand-washing technique. Again wash your hands after giving patient care. When approaching the patient, be mindful of safety, decorum and discretion. Knock the door, before entering the patient’s room. Introduce yourself and address the patient by his/her respective name. Take care of patient’s privacy. Always keep in mind that all your movements will be observed by the examiner. Demonstrate professionalism, while carrying out your duties. Use the best methodology for performing the task. Put on gloves, if the task requires contact with bodily fluids. Adopt general safety measures, like locking the wheels on a wheelchair, putting the call light within easy reach, utilizing the transfer belt, returning the bed to the lowest position after completion of the task, etc. Don’t worry, if you make a mistake during the examination. Tell the examiner about your mistake and how would it have been done the right way. It might help you in scoring back the valuable points. Hope, these tips will prove helpful for you. All the best!